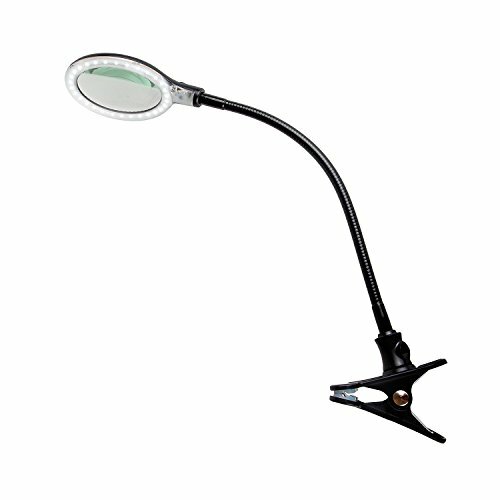 This Illuminated Dual Lens Flip-In Head Magnifier is designed for the most serious hobbyists to casual users. 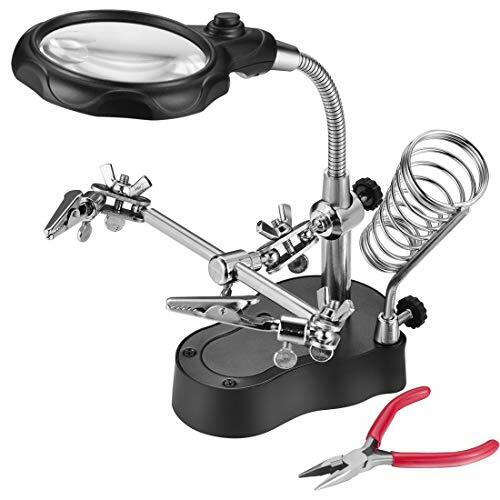 This head magnifier is great for home, office, hobby, jewelry making, watch repairs, fine detail work, and more. Features of our Illuminated Multi-Power LED Head Magnifier: Lens magnification can be combined to increase magnification up to 8.3x Fixed lens magnification: 1.9x Flip lens magnification: 1.9x Loupe lens magnification: 4.5x (2) Bright white LED lights Tilt and angle controls for adjusting the light beam vertically and horizontally Requires two AAA batteries (not included) Adjustable head strap with turn dial on the back Can be used as a headlamp Lens dimensions 3-1/2" x 1-1/8" Extra loupe diameter 1-1/4" Black and grey plastic body Disclaimer: Magnifications are approximates and may vary slightly. Important:Avoid getting counterfeit items. Genuine SE products come with our SE logo on the packaging. SE is committed to providing the customer with the best source for value possible. 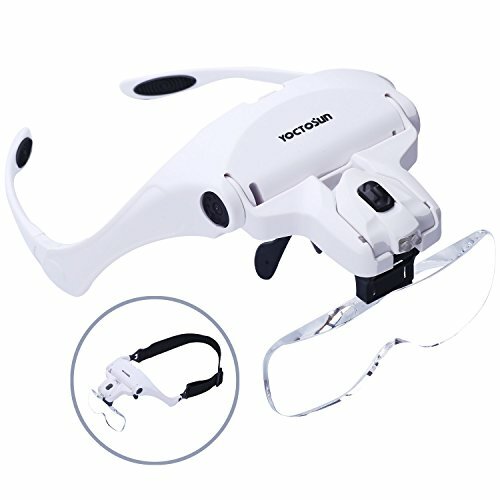 You will enjoy the quality, function and usefulness our SE MH1047L Illuminated Dual Lens Flip-In Head Magnifier has to offer. SE is a registered trademark protected by US Trademark Law. 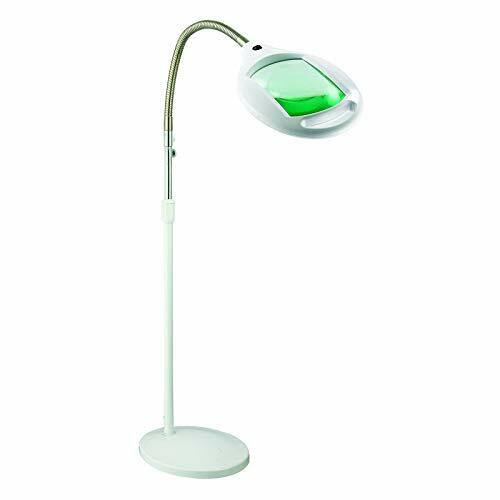 The DeskBrite200 (LM-20) from Carson is a 2x power magnifying desk lamp with a built-in 5x power spot lens. The DeskBrite200 contains a fully adjustable, flexible neck that allows users to position the lens where they need it most. This magnifier is a great low vision reading aide. The wide, acrylic lens has a 4 inch diameter making it perfect for a plethora of different uses ranging from reading books, magazines, menus and it can also be used for different tasks, crafts and hobbies like model building, jewelry design, soldering, examining stamps, coins, currency and so much more! 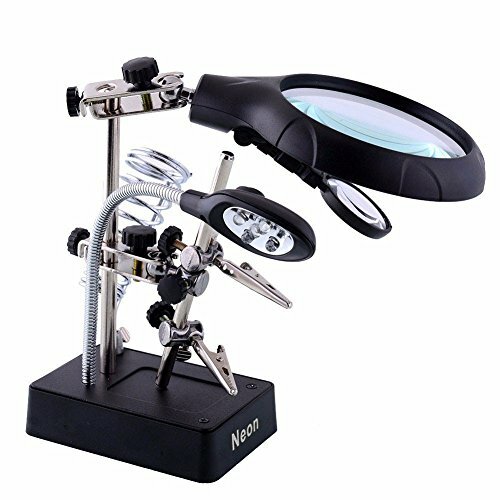 Use the 5x power spot lens for examining more fine and intricate details like studying coins, stamps, threads, etc. The DeskBrite200 is LED lighted with 2 super bright LED bulbs. The DeskBrite200 can be powered by the included AC/DC adapter or 3 AA batteries (not included). 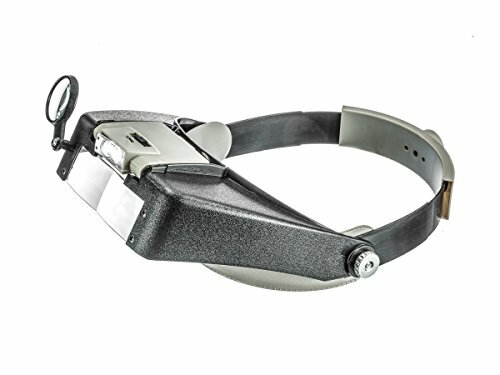 This magnifier is backed by Carson's limited lifetime warranty. At Carson, we strive to make sure our customers are 100% satisfied with the quality of our magnifiers. We are so confident in our magnifiers that we back them with a Lifetime Limited Warranty! Carson will repair or replace your magnifier if it is found to have manufacturing defects in materials or workmanship. Please contact Carson for additional warranty details. 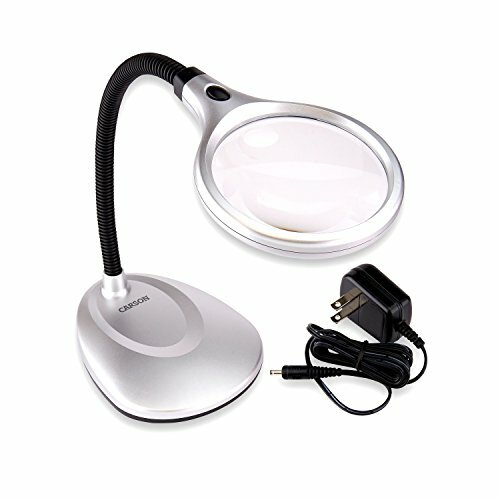 Looking for more Led Light Magnifier similar ideas? Try to explore these searches: 1960 Impala, Low Esr Cap, and Replacement Snare. 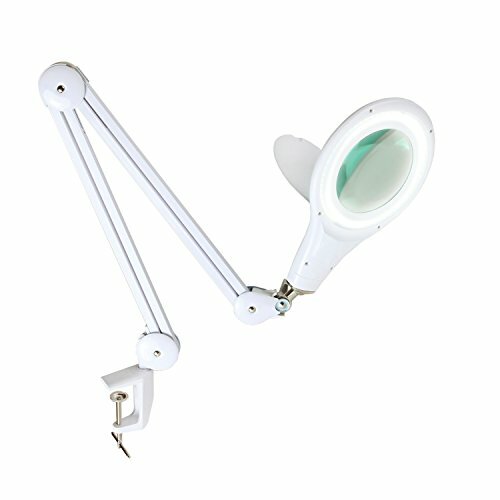 Look at latest related video about Led Light Magnifier. Shopwizion.com is the smartest way for online shopping: compare prices of leading online shops for best deals around the web. 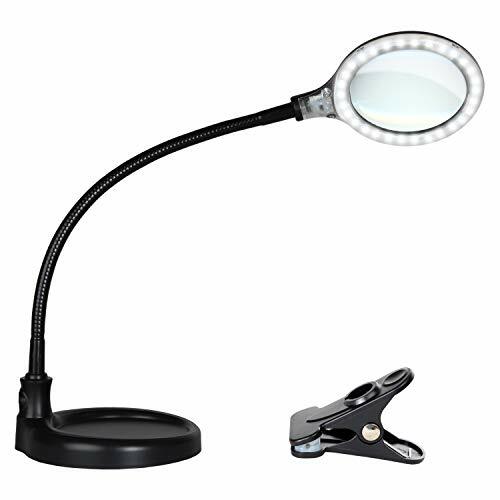 Don't miss TOP Led Light Magnifier deals, updated daily.